High-investment infrastructure developments in Qatar, including ones related to the Fifa World Cup, are positioning the country as a strong Gulf market for elevators and escalators, a market research group says. The latest developments will see the Qatar market for those products growing at a compounded annual growth rate (CAGR) of 5.6 per cent during 2015-2021, said a report from 6wresearch, a global market research and consulting firm specialising in niche and emerging markets. For the soccer world cup alone, more than $300 billion is expected to be invested in the country to build infrastructure. Mega construction activities in the areas of hospitality, retail, healthcare, transportation, and leisure and entertainment would create opportunities for elevator and escalator market players in the country, the report said. Growth of the market will be pushed by both new installations and maintenance segments. Commercial applications captured a major share of the pie in Qatar’s overall elevator and escalator market. A step up in the construction of hotels and shopping malls is propelling demand for elevators and escalators within the commercial segment. The cities of Al Rayyan, Al Wakrah and Doha are giving a filip to the elevator and escalator market. Qatar has seen a 100 per cent increase in population over the past decade, creating a requirement for new residential complexes that would need elevators. 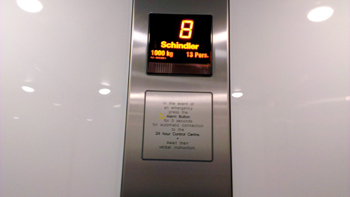 Key companies in Qatar’s elevator and escalator market were identified in the report as Schindler, Fujitec, ThyssenKrupp, Kone, Otis, Hyundai and Mitsubishi. The report gives insights on price trends, market trends, the competitive landscape, company profiles, market drivers and restraints.